The 2019 Dodge Durango is a midsize SUV with the traits of a full-size SUV. It can seat up to seven, tow a remarkable 8,600 pounds and leave the competition in the dust with muscular V8 power. It even has useful off-road abilities and includes Apple CarPlay/Android Auto smartphone integration as standard. The Dodge Durango drives very nice. The vehicle is also 4 wheel drive. I love everything about my vehicle. It has leather seats. The vehicle seats 8 people comfortably. The second row and third row fold down. 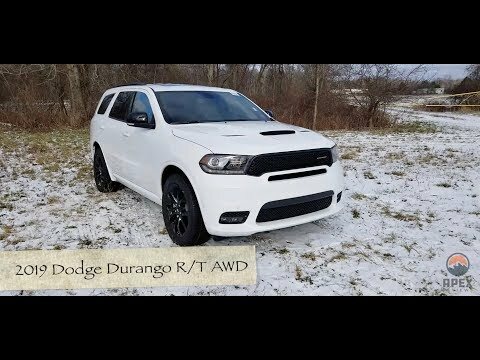 Dodge Durango Buying Guide - What&#39;s New for the 2019 Model?